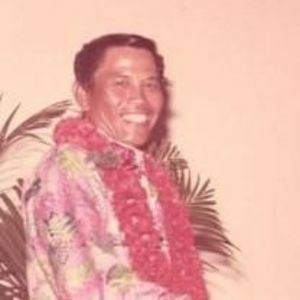 Lawrence A. Rudolfo, 94 years old of Lihue, Kauai passed away on February 10, 2017 at Wilcox Memorial Hospital. Born on August 6, 1922 in Binalonan, Pangasinan, Philippines. Retired as a Real Investor and Businessman. Survived by his wife, Gloria Tomboc Rudolfo; four daughters, Lori-Ann, Leah, Lila and Lisel; six sons, Lawrence, Jr., Lesley, Lanbert, Larson, Lenning and Mark; also numerous grandchildren and great-grandchildren. Friends may visit with the family on Monday, February 20, 2017 at Immaculate Conception Catholic Church from 8:00am to 9:45am where mass will be celebrated at 10:00am. Burial to follow at Lihue Cemetery.